> Вазы>1538/400 "Roxie" COLOR WITH DECOR AND SIGNS "
1538/400 "Roxie" COLOR WITH DECOR AND SIGNS "
Vase "Roxy" looks luxurious and spectacular. The advantageous combination of black with bronze and silver gives this model a chic, but not a vulgar look. Interesting decor and small rhinestones do not look arrogant; on the contrary, they create a stylish, restrained and finished look. Therefore, "Roxy" - a full element of decor, put flowers in it is not necessary. 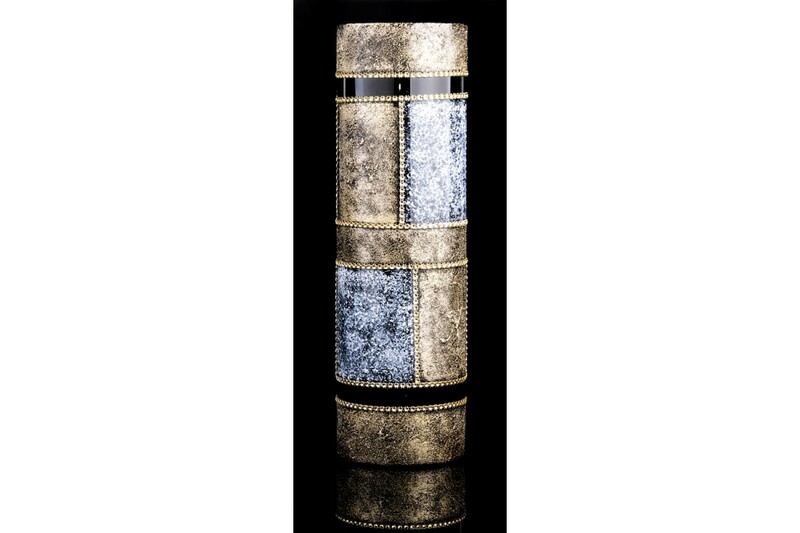 This and other vases presented in the catalog will allow you to create an extensive assortment in your store. And the favorable prices and prompt delivery allows you to spend purchase as much as possible economically. Contact us if you are interested in vases Poland wholesale.